This made me think of a college friend who regularly Facebooks anecdotes about his job as a librarian, and a former student who produces a radio drama about a hard-boiled, square-jawed time-traveling librarian. Enter the library intoxicated and you’ll get a talking to — the warning — and be asked to leave for the day. 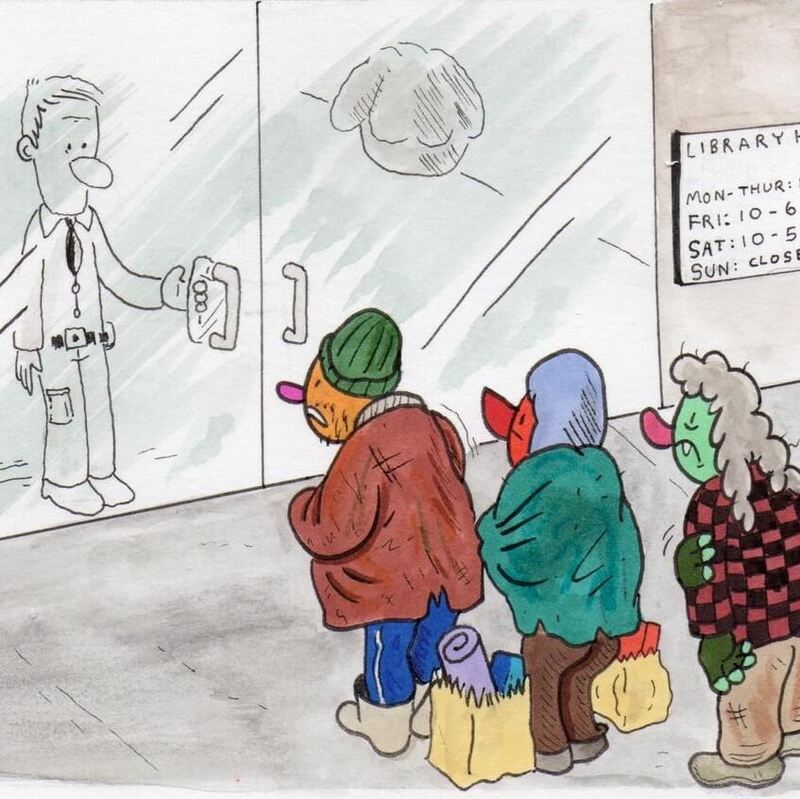 Petrovich understands that “everybody gonna have booze and come in library.” But if drunkards try to come in again and again, they’ll be met with less and less compassion. Petrovich will say to them: “You know, man, how many times I talk to you? Four or five times? You out.” —Boing Boing. 2 Mar 2015 in Culture, Ethics, Humanities, Literacy, Philosophy, Rhetoric, Sociology.